The Sixth Form provides a bridge to university, with students taught in tutorial settings and challenged to develop their own perspectives. Teachers have high aspirations stretching and challenging students to encourage them beyond their academic ‘comfort zones’ in every lesson. Subject classes are small to allow each individual to benefit from an excellent teacher/pupil relationship and receive unparalleled attention and support. We recognise that how students learn is as important as what they learn, so girls are encouraged to explore, debate and learn from their mistakes in a supportive but challenging environment. The tasks which are set, the nature of questioning and the quality of feedback are designed to encourage open discussion, exploration and responsible risk-taking. Digital and mobile technologies support collaboration between pupils and girls are encouraged to create, critique and communicate with each other, rather than simply to consume information. To ensure that each girl realises her potential, individual targets are consistently being set and tracked by a structured programme of monitoring and mentoring. Please note that all A Level subject classes will run providing that the class size is suitable (ie a minimum of three students in a class). Fine Art, Biology, Business, Chemistry, Classical Civilisation, Computer Science, Drama and Theatre Studies, Economics, English Literature, French, Geography, Graphic Communication, Politics, History, Latin, Mathematics and Further Mathematics, Music, Physical Education, Physics, Psychology, Religion Philosophy and Ethics, Spanish and Textiles. PE is compulsory but tailored to the interests of the students, with options including yoga, Pilates, golf, spin, body pump and Zumba, alongside traditional team and individual sports. We offer a wide variety of study visits and cultural events, ranging from one-day art and theatre appreciation trips to many types of residential trips. The majority of our Sixth Formers go on to excellent universities. Our aim is to ensure that they leave Northwood College armed with the most impressive credentials and the skills and attributes required for successful applications, interviews and ultimately academic study at university level. Our innovative and comprehensive EEEExcite! Programme encompasses four key elements, designed to cultivate the whole student and encourage her to be the very best that she can be. The EPQ is held in high esteem by universities and carries UCAS points equal to half an A level qualification. All students in Year 12 participate in this excellent course which involves completing a project in a subject area in which they are interested. The course provides the context for critical thinking and project management skills which are widely transferable, and assesses students’ ability to plan, carry out, report on and evaluate a project. Students receive 30 hours of taught skills, complete 90 hours of independent work, produce a 15 page log, complete an extended essay (5,000 words) or an artefact (plus 1,000 word report) and give a presentation. Girls will be allocated a supervisor who will meet with them individually on a weekly basis. Past EPQ topics have included: the Psychology of Dreams, the Causes of the American Civil War and the use of 3D Printing in Medicine. As students move toward deciding what they might want to study at university, they complete our Extend course. Students select from a wide range of subjects and follow a course of study which takes them beyond the A Level curriculum. Past Extend topics covered by subject specialists have included ‘Behavioural Economics’ in Economics and Business and ‘The French Revolution’ in History. 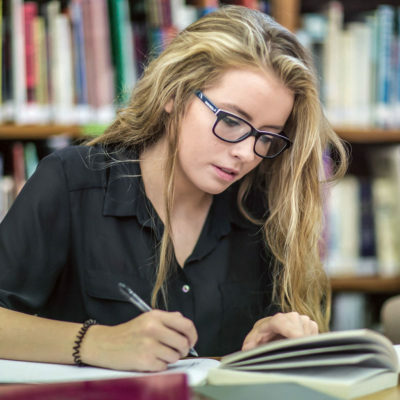 Once university applications approach, these lessons provide space for students to consult with subject specialists on their personal statements and university choices. In Year 13, as the final examinations loom, students take time out of their academic study to connect to the community around them and develop perspective in our Engage sessions. Weekly speakers including representatives from local charities come in to address the students, they have the opportunity to spend time in our Junior School and learn basic first aid. Throughout their time in the Sixth Form, all students participate in Enrich, our weekly wellbeing and university preparation period. We make the most of being within walking distance of the London Underground and you will have the opportunity to head off with tutors to visit a plethora of academically enriching events such as lectures at Gresham College, the Museum of London and the London School of Economics, as well as Revision Conferences and ‘Lates’ at the Science Museum, V&A, British Museum and National Gallery. Our teachers and Sixth Formers are passionate about sharing ideas and discussing current issues and affairs. Together they have initiated and now run numerous societies including Biomedical Society, TED Society, Current Affairs Discussion Group, Language Conversation Clubs, Gender Equality Matters, Amnesty and Business and Enterprise. A team of Sixth Formers produce their own school magazine called Maxwell Metro. Students considering applying to Oxford or Cambridge attend our Bluestockings Academic Enrichment Society, a space open to all, where students are encouraged to discuss New Scientist articles, Select Committee debates, recent academic publications and direct sessions on their own research interests. Bluestockings attend half termly cultural events in London and hold a termly book club. Year 12 sees the inauguration of a Head Girl team, Senior Prefects, House Captains and Heads of House. In Year 13 each girl becomes a Prefect in an area that best suits her individual strengths and interests, such as, Careers Prefects, Marketing Prefects, Library Prefects, Sports Prefects and Music Prefects. Our Sixth Formers are an invaluable asset at our school; they make the most of many opportunities on offer to enhance their leadership and organisational skills by assisting in the organisation and running of clubs including Young Enterprise, supporting drama and music productions and partaking in mentoring programmes for younger students. Being a GDST girl opens the door to many opportunities. You will be encouraged to apply for a national prize or scholarship, such as The Chrystall Prize for Public Speaking or the Nomura Scholarship aimed at students interested in a career in investment banking; those intending to read law stand a chance of receiving the Johnston Memorial Scholarship and should your desire be to take a gap year, the Travel Scholarship which grants £250 will most certainly be welcomed. You may want to take advantage of the chance to attend a wide spectrum of events ranging from the annual Young Leaders’ Conference to the Women of the Future Young Ambassadors’ Conference for those aspiring to a role in public policy; the annual Architecture and Engineering Conference and regular School Council meetings. With access to over 70,000 alumnae, the GDST provides our students with an unparalleled network of bold, principled, successful women at all stages of their careers. Mentoring links, often leading to work experience placements are facilitated. One initiative that will most certainly make you stand out in your UCAS reference or when applying for internships is the GDST’s prestigious Laureate Awards Scheme which provides recognition for the numerous Sixth Form activities open to you. Download the Northwood College for Girls Oxbridge Programme Brochure here.